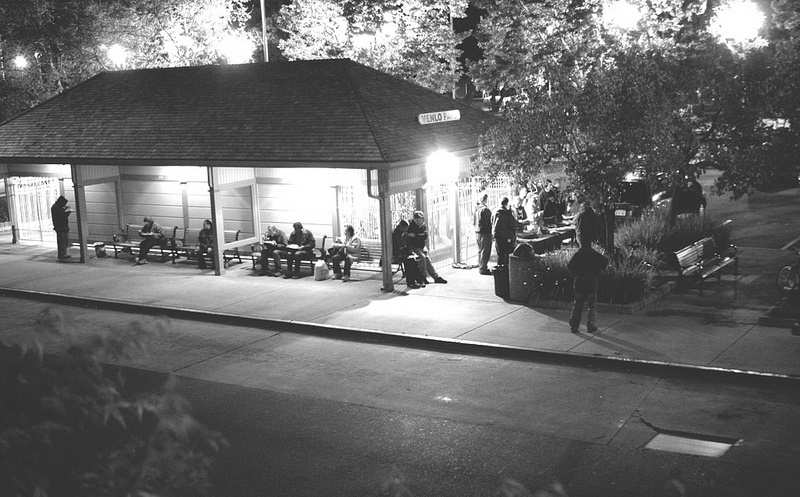 Street Life Ministries regularly distributes food to the hungry at the Menlo Park train station. The inequality gap is widening in the Bay Area. We are starting to see a tale of two cities unfolding before our eyes, as the gulf widens between the haves and the have-nots. We see it in the anger that drove the Occupy Movement and the more recent protests against the Google buses as symbols of the Silicon Valley elite. At PVF, we see it daily in the front lines of poverty that are bleak deserts of opportunity. But, how do we go about tackling something as huge as closing this gap? At PVF, we are guided by our core driving principals of immediate response, investing in grassroots leaders, and being an activist connector. Check out the video above for more information about the work of Street Life Ministries. Over a lunch meeting one day, I was told the story of someone in San Mateo county who had convinced a local Chipotle restaurant to donate food that he was then distributing to the homeless in Redwood City and Menlo Park. This turned out to be David Shearin of Street Life Ministries. As is our want to get out from behind our desks and pound the pavement to find outstanding leaders versus waiting for grant applications to land in our inbox, I was soon sitting with David to learn about his work. I learned that his work happens right on the street. The work began 11 years ago when a local pastor met some homeless people. Food was purchased and shared and conversation ensued. Soon, Street Life Ministries was born and bringing hot meals to the homeless at the Menlo Park train station and in Redwood City. David has somehow doggedly convinced many local companies to donate food and even rallied sixth graders at Roosevelt Elementary School on Mondays after school to make peanut butter and jelly sandwiches for those in need. Is this not the hallmark of entrepreneurism and leadership on par with any Silicon Valley start up? Even more inspiring is that David was once one of these people that he serves; he rose up from his chair at an AA meeting to heal himself and become the Executive Director at Street Life Ministries. Within our typical – but unheard of anywhere else – 48-hour turnaround, David received an $18K grant from PVF to support his work and to purchase a van for outreach purposes. We believe the early risk-taking dollar is the most powerful in philanthropy. We must take the paper out of giving and be responsive to these outstanding grassroots leaders. They are on the frontline. They need to spend their time in action, not in filling out forms. We believe that connecting the dots to find these exceptional entrepreneurial leaders and acting in a streamlined, unrivaled, immediate response is the PVF way to make a dent in the inequality gap. If you would like to join us in our endeavor to close the inequality gap by supporting organizations like Street Life Ministries, click here to donate.